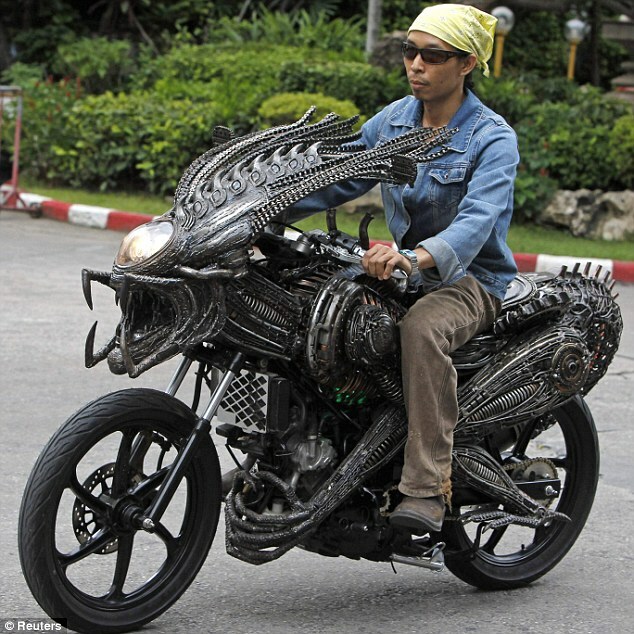 Holy crap, it's an Alien motorcycle! 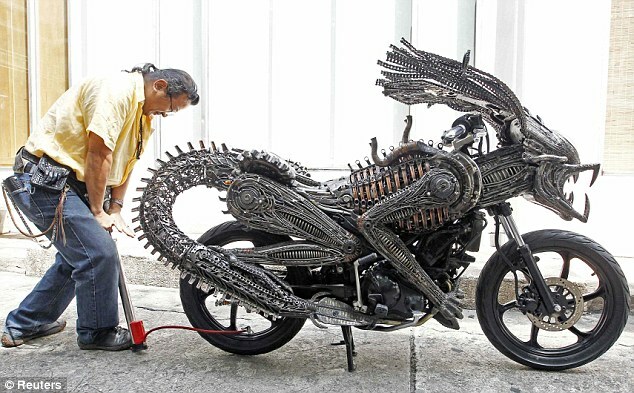 This Alien motorcycle, built by Bangkok artist Roongrojna Sangwongprisarn, is truly an awesome machine. For one thing, it's fully functional and drivable, although God help you if you drop it. 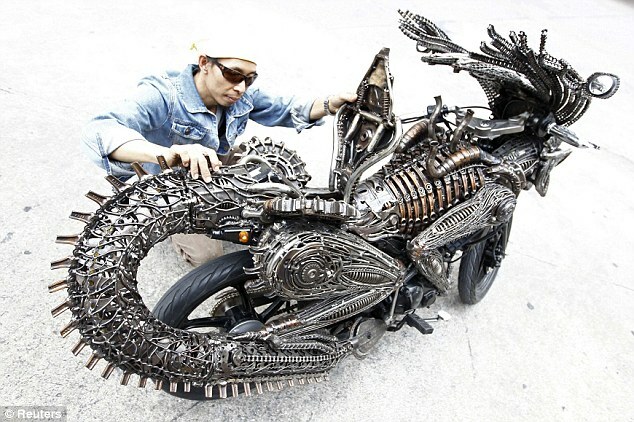 But even cooler is the fact that it's made entirely out of spare and recycled parts from old cars and bicycles. The 54-year-old Sangwongprisarn, the owner of the Ko Art Shop, has [presumably well-heeled] customers all over the world and you can see why. 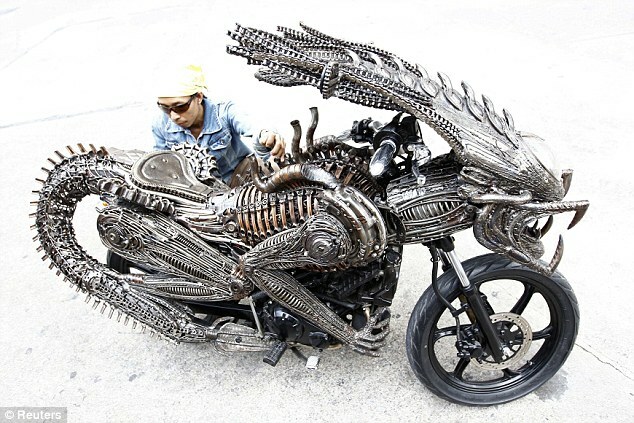 The attention to detail in this Geiger-esque monstrosity is amazing and while I have no idea what the bike underneath is or how fast it goes, who cares? Just sitting on this thing is guaranteed to take you to a whole new level of cool.